Vaccination is an important and timely topic. The science is completely clear: vaccinations work and are important for the health of everyone in our community. This book explores the reasons why some people question vaccines, and then logically explains why the doubts are unfounded and vaccines are in fact effective and safe. This book was recommended to me by scientists and friends who work in public health. It’s also a relatively short book — one that you should be able to read in a few hours. I encourage you to check it out and to join the discussion. 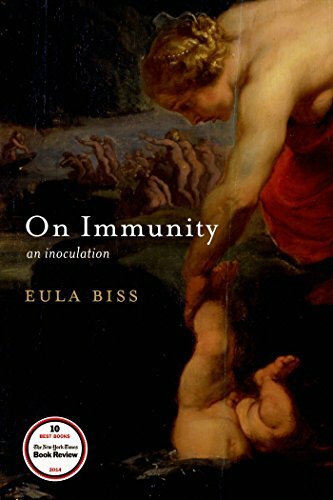 In this bold, fascinating book, Eula Biss addresses our fear of the government, the medical establishment, and what may be in our children’s air, food, mattresses, medicines, and vaccines. Reflecting on her own experience as a new mother, she suggests that we cannot immunize our children, or ourselves, against the world. As she explores the metaphors surrounding immunity, Biss extends her conversations with other mothers to meditations on the myth of Achilles, Voltaire’sCandide, Bram Stoker’s Dracula, Rachel Carson’s Silent Spring, Susan Sontag's AIDS and Its Metaphors, and beyond. On Immunity is an inoculation against our fear and a moving account of how we are all interconnected—our bodies and our fates. Get notified when book 5 is available by joining the club.